Packrafting is an intense and specialized sport full of influencers. The need to carry extra gear results in heavy loads and big volumes, things our backpacks excel at. Combine this with the certainty of water exposure and our water resistant fabrics and construction really shine. 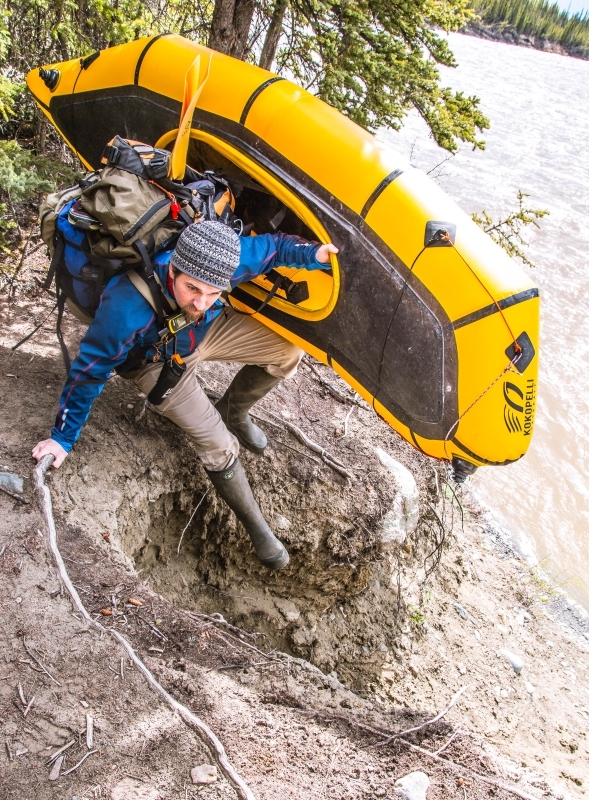 Packrafting is a natural and easy fit for our backpacks, part of our core competency. The backpacks selected for this category are all capable of heavy load carriage, and none of them feature zippers or hydration ports. Do a good job seam sealing and you can effectively turn them into a dry bag. Regarding waterproofing please note that packrafting is an extreme sport that is rough on people and gear. Stuff happens. Internal dry bags for insulation and critical gear is common sense if you're bow mounting your pack.